An Individual Voluntary Arrangement (IVA) will not be a suitable debt solution for everyone. There are some alternatives to an IVA that may be feasible depending on the individual’s financial situation. Is an Individual Voluntary Arrangement the Right Choice? An Individual Voluntary Arrangement (IVA) is basically a payment agreement between creditors and debtors. Monthly payments are made to creditors at a reduced basis, based on the debtor’s financial situation. To be eligible for an IVA a debtor must have debts of £15,000 or over to at least two creditors, and be unable to afford the current monthly payments. An IVA will usually last for five years of constant monthly payments; this can be a major commitment for some. An IVA can also only be viable solution if at least 75% of creditors agree to this debt solution. Anyone who finds their debts are becoming unmanageable will find there are various debt solutions available. If a debtor does not meet the IVA eligibility requirements there are alternatives. Choosing the right alternative will mean undertaking some research and deciding what will and won’t work. A bankruptcy may be an alternative to an IVA, but many people simply shun this solution due to the perceived stigma attached. Whichever IVA alternative is chosen it is important to realise that this will usually mean a long-term repayment commitment. Bankruptcy does come with some risks including the chance that property could be sold to pay debts. At the very least the creditors may want the debtor to release some of the property equity to pay debts. Entering into personal bankruptcy means admitting that debt repayments can no longer be maintained. An official receiver will take control of assets such as property and money to ensure creditors can receive a share, if eligible. Bankruptcy means that the debtor will no longer have to deal with their creditors of unsecured loans. One of the biggest advantages of bankruptcy is that the bankruptcy discharge period is now one year. Those who do have to make financial contributions to creditors may still have to do so for three years. Bankruptcy is seen by many as a fresh start although for business directors of limited companies this could mean losing the business. Sole traders can still declare bankruptcy and continue to run their business. There are fees that apply to bankruptcy including court fees and a deposit to the official receiver. Many people decide to clear their debts by choosing a debt consolidation loan. This is basically entering into a large enough loan agreement to pay off all other debts. A debt consolidation loan means the debtor will now only have to deal with one creditor. This can be a good alternative as long as the interest rates are reasonable. Many debt consolidation loans will come with very high interest rates and very long repayment terms. The new creditor will usually only give a secured debt consolidation loan; meaning secured on the debtor’s property. A debt consolidation loan can be a risky option for those who have already encountered difficulty managing their debts. An Administration Order may be a viable debt solution for people who have debts totalling less than £5,000. Debtors who have debts with at least two creditors can apply to the county court for an Administration Order. This means there will only be one monthly payment to make, and repayment is dependent on the debtor’s financial situation. This means the debtor pays only an amount they can afford. Once the order is in place the debtor will no longer have to deal with debt collectors or creditors. A remortgage is basically renegotiating the original mortgage loan with the aim of increasing the borrowing amount. This can then mean the debtor can clear off all other existing debts such as credit cards and loans. This is a good alternative if, for example, the value of the house has increased over the years. Again, this is another case of borrowing more to repay other creditors. But the debtor will only have one creditor to pay and will have eliminated all of the other interest payments. The debtor could end up paying less in monthly repayments without the existing loans and credit agreements. Entering into an Individual Voluntary Arrangement or any of the alternatives is a fairly serious matter. Some of these debt solutions may be marked down on a personal credit file for up to six years. 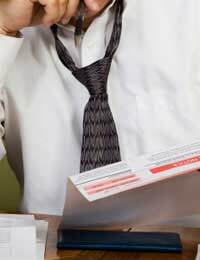 Advice and information from a debt help agency such as the Consumer Credit Counselling Service should be taken before entering into any debt solution.